This three-class childbirth series takes expectant mothers and their families through topics related to childbirth, delivery and newborn care. You will learn about the signs of impending labor, managing active labor, pain management, delivery, c-sections and post-delivery care. All classes in this series meet in the Cheyenne Conference Room in Cheyenne Ambulatory Center, 944 Oak Ridge Turnpike, Oak Ridge. The course fee is $30 per family, and financial assistance with the cost is available. Call (865) 835-4662 for a schedule of class dates and times. If you’re thinking about breastfeeding, Methodist Medical Center encourages you to register for this two-hour class. You will learn more about the benefits of breastfeeding for yourself and your baby, as well as effective techniques. Handouts are provided and other suggested materials are reviewed. The fee is $10, and financial help with the cost is available. Call (865) 835-4662 for more information and to register. Learn life-saving CPR techniques developed specifically for babies by the American Hospital Association. This 2-hour class quarterly on a Saturday and is open to new parents, grandparents, and other caregivers of newborns. Handouts are provided at no charge. The class fee is $10 per family group, and financial help with the cost is available. Instructors are Cheryl Stallings, RN, and members of the Family Birthing Center staff. Call (865) 835-4662 or 1-800-468-6767 for information and to register. So you have a baby, now what? Childbirth classes prepare you for the delivery of your child, but what do you do when you go home? Join Methodist Medical Center for Bringing Up Baby, a class for new parents and grandparents to learn up-to-date baby care techniques and safety. A lot has changed since your parents raised you, so while new moms learn about postpartum depression, safe sleep strategies for baby, the importance of breast milk, what’s normal and what’s not, and how to understand a newborn’s needs, grandparents will get a refresher in modern baby care and will learn ways they can best support a new mom. Call (865) 835-4662 or 1-800-468-6767 for information about the current month’s class or to register. Don’t let the cost of classes come between you and the wellbeing of your baby. Class fee waivers are available to those who qualify for financial assistance. For more information call (865) 835-4662. The birth of a baby is exciting for everyone in the family, especially a big brother- or big sister-to-be. The Sibling Experience is for 3- to 12-year-old boys and girls in expectant families. The children have hands-on fun while learning about and preparing for the upcoming birth of a baby in their family. The fee is $10, and help with the cost is available. The program is a 1-time event for each family, and can be scheduled by calling (865) 835- 4662 or 1-800-468-6767. 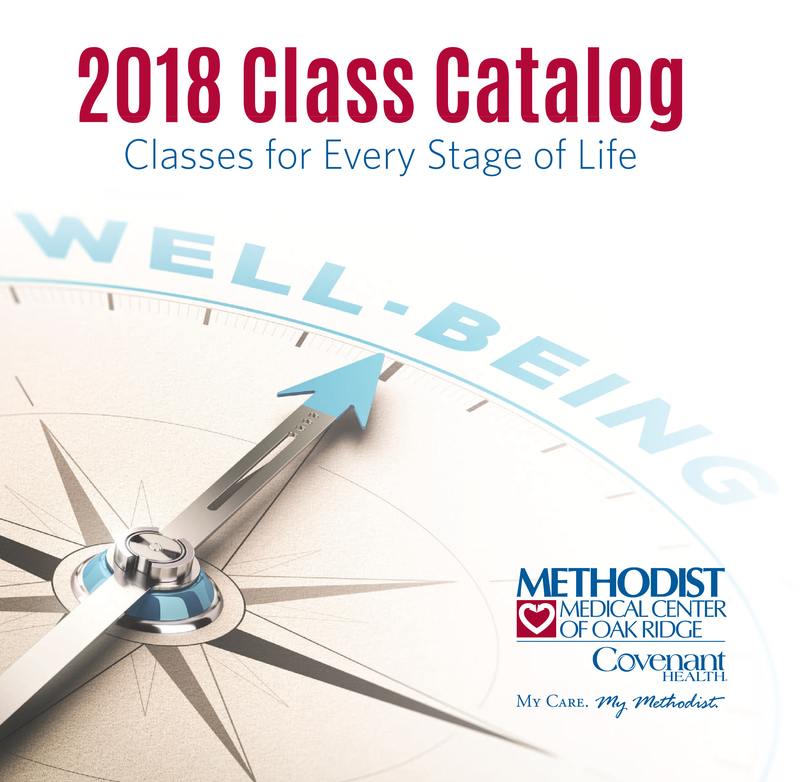 Methodist Medical Center encourages prospective parents and community groups that work with young adults to schedule a pre-planning pregnancy class. The class helps young people make informed decisions about pregnancy and provides community organizations with valuable information. Instructors are members of the Family Birthing Center staff. There is no charge. To make an appointment, call (865) 835-4662. When transportation problems, language issues, and other special situations make it impossible for expectant couples to attend regular childbirth classes, the Family Birthing Center staff may see those couples by appointment. The class fee is $30. Call (865) 835-4662 for details. If you are pregnant, Methodist would like to invite you to a VIP Tour of the Family Birthing Center in anticipation of your Very Important Pregnancy. The visit is valuable for women during all phases of pregnancy, especially those who are newly expectant. You will meet with a registered nurse from the Family Birthing Center who will answer your questions, tell you more about our Family Education Program, discuss pediatric care, and give you a personalized tour of the Family Birthing Center. Make an appointment through your doctor’s office or call (865) 835-4662 or 1-800-468-6767. A pre-admission visit is required if you plan to give birth at Methodist Medical Center. We suggest that you schedule the visit when you are 35 weeks along in your pregnancy. You will meet with a nurse in our Family Birthing Center to complete the paperwork needed for admission to the hospital when you go into labor. Paternity and other issues will be discussed during the pre-admission visit, and we also will answer your questions. To schedule this important visit, please call (865) 835-4662 or 1-800-468-6767. “Before You Go” is required for moms who have given birth at Methodist and are preparing to leave the hospital with their newborn. This class is held once a day in the Family Birthing Center. To learn more or to sign up, see your nurse in the birthing center. Your amazing journey into parenthood is just beginning! Be sure to check out our Mommy2Mommy programs for continued education, support and fun. Click Here. Click here to view the full schedule of available birthing and parenting classes.